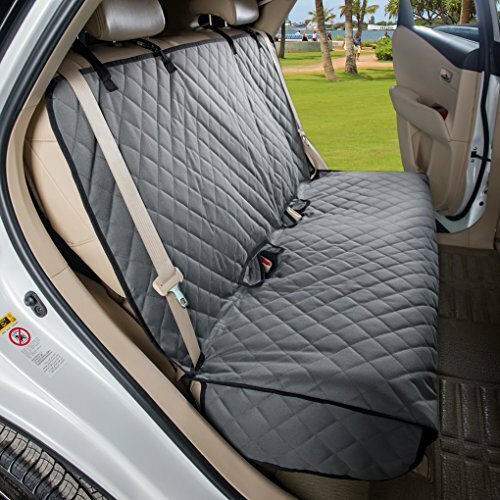 Is the pet car seat cover stay in place? The 2 adjustable straps with buckles, 2 seat anchors, 2 seat belt openings, 2 side openings, 2 corner elastic straps and nonslip rubber at backing will keep the cover stay in place. Slide the 2 seat anchors into the crease between seat back and the seat bottom. Put 2 straps over corresponding rear headrests. Adjust the height to suit the best. Wrap the 2 elastic straps around the seat corners. Keep it stay to make sure it won't slip easily. Promptly wipe up any matter or liquid with a damp cloth or sponge. Machine wash on gentle cycle in cold water with suitable detergent. Do no bleach. Air dry. Washing before using is ok. If you have any questions about this product by VIEWPETS, contact us by completing and submitting the form below. If you are looking for a specif part number, please include it with your message.